Officials in Utah say that there was nothing they could do to help a hiker who's dog was injured after attacking a mountain goat because their policy is to spend their resources rescuing people, not pets. Authorities in Utah County say that the unidentified woman's dog was not on a leash when it attacked the wild animal near the Aspen Grove Trail on the slopes of 11,752-foot Mount Timpanogos, about 55 miles south of Salt Lake City, on Sunday afternoon. According to Reuters, the hiker's mom called authorities for help because she said the hiker couldn't get the 55-pound injured dog off the mountain on her own. The hiker was eventually able to coax her dog off the mountain, and it is now recovering from a kick to the chest. Which, all things considered, is actually pretty damn lucky for the dog as mountain goats–which can weigh up to 300 pounds–are not friendly creatures and can quite easily kill a person. Seriously, just keep your dogs at home–but if you absolutely must go hiking or something with a dog at least have the common decency to put it on a leash. 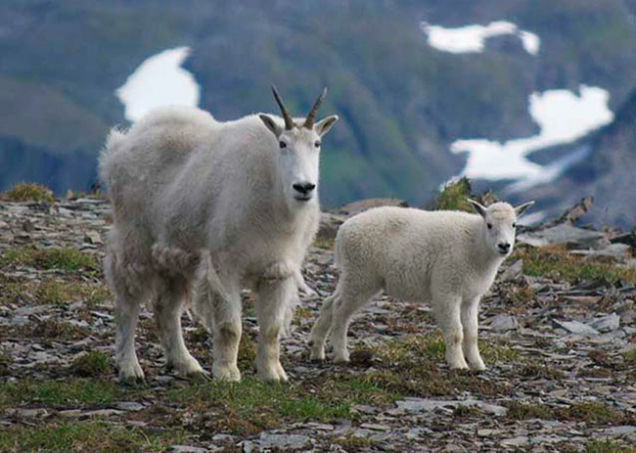 Mountain goats spend their time protecting their young from predators like wolves, mountain lions and bears–what do you think it could do to your dog? In any event, officials say that it could have taken up to 15 rescuers about two hours to rescue the dog, noting that within two hours of the woman's call a family of five needed to be rescued from a stranded boat on a nearby lake. That rescue took four hours to complete. "It's a tough call, but we have to draw a line somewhere," Utah County Sheriff's Office Lieutenant Spencer Cannon told Reuters. "Imagine the outrage if we didn't have the resources to rescue a child." Under Utah County code, it's a misdemeanor to allow your pet to chase protected wildlife. Authorities say that criminal charges aren't likely, at least for now.